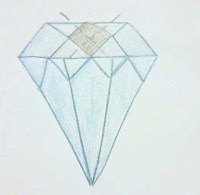 Although I'm not longer an entrepreneur but my diamond logo is a symbol for all of my blogs and Social Media accounts. Basically what I believe Sophistication means in the 21st Century. When I created my brand or considered the term "Brand Identity" I started with the concept of "Identity" first. Identity: The idea for came from an unusual source, it came from when I had thought about getting a tattoo (A Sophisticate has a Tattoo). A tattoo is permanent and therefore should be meaningful. When asked by friend what tattoo I would get I answered without hesitation, a diamond. 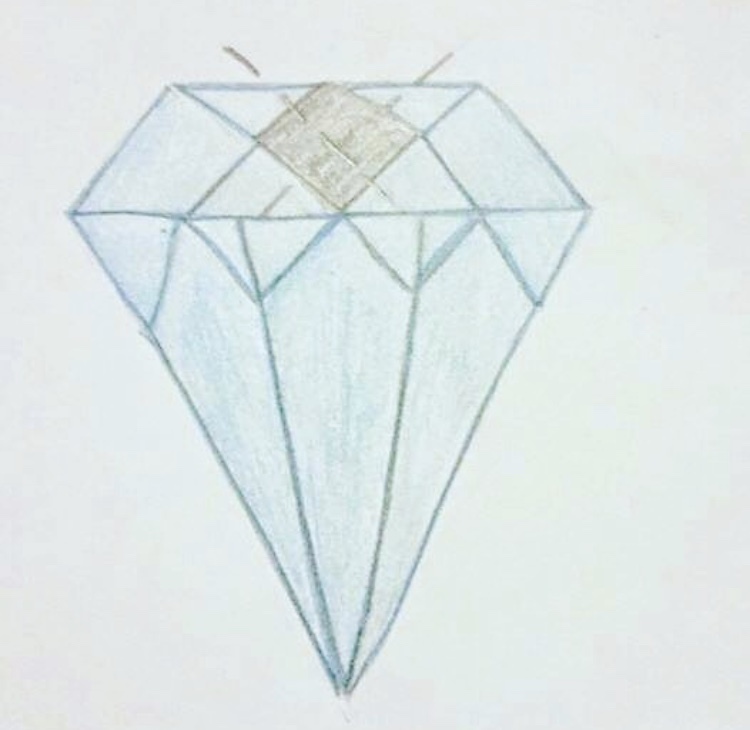 A diamond is my birthstone and I felt represented who I was the best. I never got a tattoo because for me I got something even better, I got my own logo. instead of a tattoo because that is permanently on my skin, my logo is permanently emblazoned on my heart. As an entrepreneur when it came to my brand logo for my new Company I knew what I would be without a thought. Although simplistic, with my love of drawing, I created the original concept design. My initial design included the argyle print found on my argyle sweater that appears in my caricature. As soon as I decided to put the argyle in the diamond I realized it was a beautiful piece of symmetry since argyle print is the shape of a diamond. As far as identity, not only do I consider my logo a part of who I am, the representation of all my Social Media accounts and blogs, but also something I had in part in creating. When you can take one love and create another love or combine two passions, it makes it all the more meaningful, trust me. Brand: My diamond does not represent wealth, luxury, or luxury jewelry. Having a lot of money means nothing. My diamond has nothing to do with wealth at all except when it comes to intrinsic values. 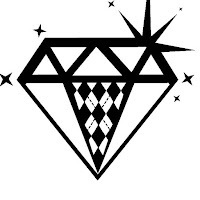 The symbol has to with the value not the monetary worth of a diamond (A Sophisticate is a Diamond). My logo has to do with the inner attributes of someone who embodies what I believe Sophistication means in the 21st Century. Inner worth - 21st Sophistication means a person whose kindness and good nature is priceless. Diamond is a Rock - 21st Sophistication represents a person who became more than what society expected. Ability to shine under pressure - 21st Sophistication means bravery and someone who works hard to better themselves to overcome obstacles. One stone, many facets yet, a true diamond has clarity - 21st Sophistication means a person who may change fashion styles or take on different hair colors but in the end their actions and personality is authentic. 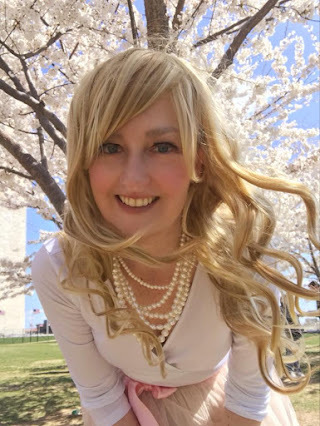 Sophisticate in the Suburbs™ focuses mainly on women "How to be a Sophisticate in the 21st Century" with certain men being the exception or better yet the example. When coming up with the colors I thought maybe a baby pink diamond or light blue one. Yes I use a baby pink diamond on @trusophisticate on Instagram but it is only to allow the words to be highlighted in black to be seen a lot clearer. Every day to work or to parties, I always wear black and white with a touch of pink. Black and white are my favorite color or rather my favor "no color" and combination of every color" My friends agreed since they are my signature colors beyond my brand, they should be the colors of my brand. Why black and white? White is not even a color and black is all of the colors combined. The meaning behind the colors of my symbol is to represent the fact of human nature that equality has no color and everyone or every female not matter what her race or religion has the right to feel and be empowered. My diamond logo is my Superman "S" meaning that if there was one symbol that defines me and communicates my purpose in life and the meaning I hope to convey, it is my logo. My logo has nothing to with physical attributes, looks, dress, or capabilities. My logo has everything to do with the inner worth or the high quality of someone's heart and character.